The researchers at Johns Hopkins have found that a newer method of calculating LDL cholesterol levels in the blood which is more accurate than the older method. By this method routine fasting for cholesterol tests could be eliminated for most people, making such screening more convenient. The research results have been published in Circulation. 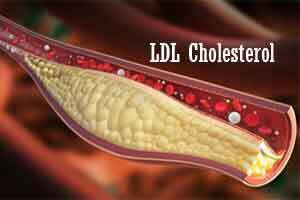 The newer method for calculating LDL, or low-density lipoprotein, was developed by Seth Martin, M.D. M.H.S., and colleagues at Johns Hopkins in 2013. Other researchers in the U.S. and abroad have confirmed its greater accuracy, and the newer method has been adopted by at least one major U.S. national diagnostic company this year. For the study, the researchers compared the accuracy of the new LDL calculation method with the Friedewald method, developed in the late 1970s when patients fasted or did not fast. The Friedewald method was shown by Martin and colleagues in 2013 to underestimate LDL cholesterol levels, particularly in people with high triglycerides. Triglycerides are fatty acids that tend to be higher in people with obesity and diabetes and that increase after eating. The Friedewald method was developed based on fasting blood samples, and that has remained a requirement for the calculation. The Friedewald method estimates LDL cholesterol using the following formula: total cholesterol minus high-density lipoprotein (HDL) — or “good” cholesterol — minus triglycerides divided by 5. That equation, the researchers say, applies a one-size-fits-all factor of 5 to everyone and doesn’t take into account variations among individuals. With the same information required for calculation as the Friedewald method, the newer method uses a chart developed by Johns Hopkins physicians with 180 different factors to more accurately calculate LDL cholesterol and individualize a person’s assessment. This equation is as follows: total cholesterol minus HDL cholesterol minus triglycerides divided by a specific value from the chart. The new test doesn’t take any longer to provide results to physicians and patients, and the cost is the same to administer. The physicians did their comparison using data already gathered in a clinical repository led by blood lipid specialists at Johns Hopkins University. Specifically, they drew on information about 1,545,634 U.S. participants in The Very Large Database of Lipids ¾ created and maintained by Johns Hopkins ¾, 959,153 of whom fasted 10 to 12 hours before a cholesterol test blood draw, and 586,481 of whom did not. Each person had a blood draw and the laboratory used ultracentrifugation to directly measure total cholesterol, HDL, LDL and other cholesterol components. The same laboratory measured triglycerides using a standardized assay. Overall, about half of the participants were women; participants average age was 55. The participants were referred by their health care providers to have their lipids/cholesterol tested. The team focused on LDL levels in people with less than 70 milligrams per deciliter, because under professional guidelines, those with LDL levels over that number are considered at elevated risk for cardiovascular events, and in need of lifestyle changes and drug treatment. The investigators then compared fasting and nonfasting results using the Friedewald and new calculation methods to the actual measured value of LDL cholesterol for accuracy. For traditional lab testing for patients, cholesterol is estimated rather than measured because direct measurement using ultracentrifugation isn’t time- or cost-effective — although ultracentrifugation provides the most accurate measurement. Other direct measurement methods are available, but their accuracy and variability isn’t predictable. For the final analysis of 127,741 participants with LDL less than 70 milligrams per deciliter, the nonfasting accuracy was 92 percent using the new method compared to 71 percent using the Friedewald method when both were compared to the actual measured value of LDL. Approximately 30 percent of the nonfasting participants had greater than 10 milligrams per deciliter inaccurate cholesterol measurements using the Friedewald method compared with only 3 percent error from the actual measured value with the new method. The investigators report that the overall accuracy of LDL calculations decreased as levels of triglycerides increased, particularly when using the Friedewald method. For example, in 6,168 nonfasting participants with high triglycerides between 200 to 399 milligrams per deciliter, the accuracy of the calculation among those in the less than 70 LDL range was 82 percent with the new method versus 37 percent using the Friedewald method. No matter which method was used, fasting was always shown to be more accurate than nonfasting when analyzing LDL cholesterol levels, but the researchers say the differences with the newer method likely weren’t clinically meaningful in the vast majority of cases. Although the new method of calculating cholesterol doesn’t suffer from too much error from not fasting, the researchers say that fasting may still be important for certain patients: those with high-risk of cardiovascular disease whose treatment might change based on a small inaccuracy in the LDL cholesterol calculation, those with a triglyceride disorder or those who need to fast for other types of tests such as blood sugar. Because the study looked at data from a clinical laboratory database, the physicians couldn’t take into account detailed clinical characteristics such as whether patients were on cholesterol-lowering statins and how that affected the fasting/nonfasting results. Additional authors on the study include Jihwan Park, Asieh Golozar, Mariana Lazo, Renato Quispe, Eliseo Guallar, Roger Blumenthal and Steven Jones of Johns Hopkins. The study was funded by a gift from the David and June Trone Family Foundation.